At the 2015 Build conference, Microsoft tried to prove that HoloLens is more than just a neat gimmick. The company showed off several new demos for its “mixed reality” headset, which can map digital imagery onto the user’s physical surroundings. While previous demos had focused on fun ideas like a virtual Mars walk and a living room-sized version of Minecraft, the Build presentation emphasized real-world applications for businesses and education. For instance, Microsoft showed how architects could use HoloLens to interact with 3D models, laid out virtually in front of them on a table. They might also be able to examine aspects of a building site at full scale, with virtual beams and walls rendered before their eyes. Another demo showed how medical students could learn about the human body without having to cut open a cadaver. The headset showed a 3D model, which users could separate into different parts and blow up for closer examination. 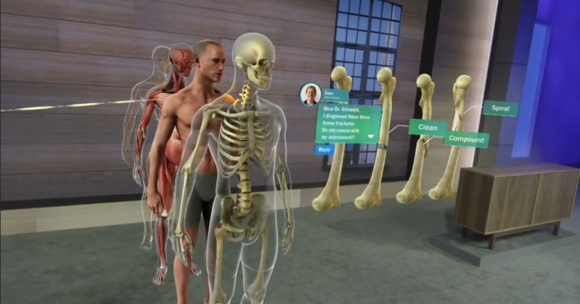 With everyone wearing a HoloLens, students and teachers could all interact with the same model, so it’s easy to imagine virtual surgery as the next step. Not all the presentations were so serious. 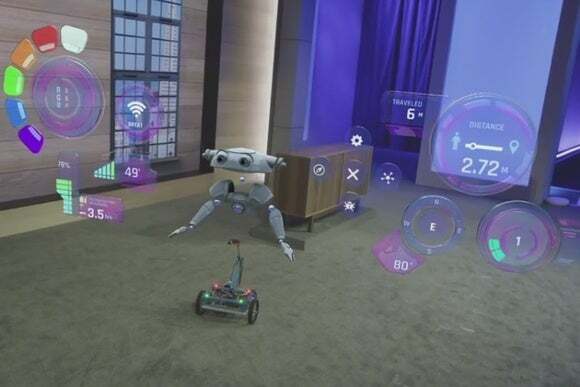 Microsoft also showed off an actual robot whose controls appeared in the virtual space above the robot’s head. Users could then create a movement pattern for the robot by tapping on the ground. Another demo showed how users could create their own personal screens that followed them around in real space. There’s still no word on when Microsoft will release HoloLens, how much it’ll cost, or the tech specs inside it. 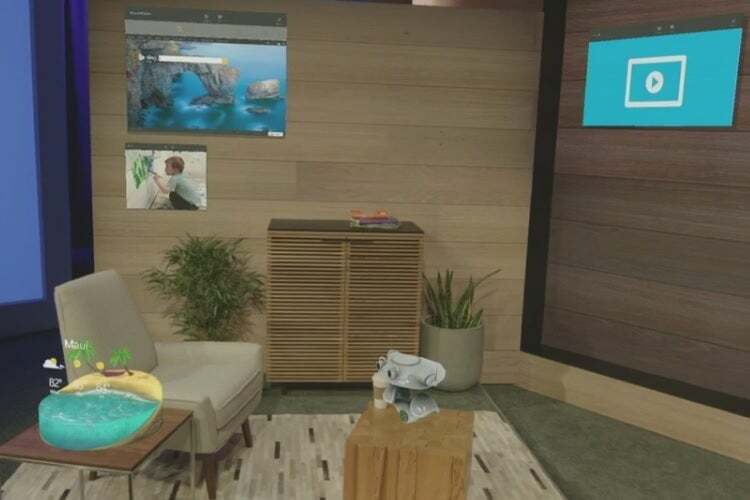 The company has only said that it plans to launch the headset within the “Windows 10 timeframe.” In lieu of release details, Microsoft did announce several partners, including NASA, Autodesk, Unity, the Walt Disney Company, and the Cleveland Clinic. Why this matters: While the technology behind HoloLens is certainly impressive, Microsoft needs to prove that the product truly is a big leap forward for computing, and not just a cool tech demo. That was clearly the emphasis at Build, as Microsoft tried to convince developers to take the technology seriously.